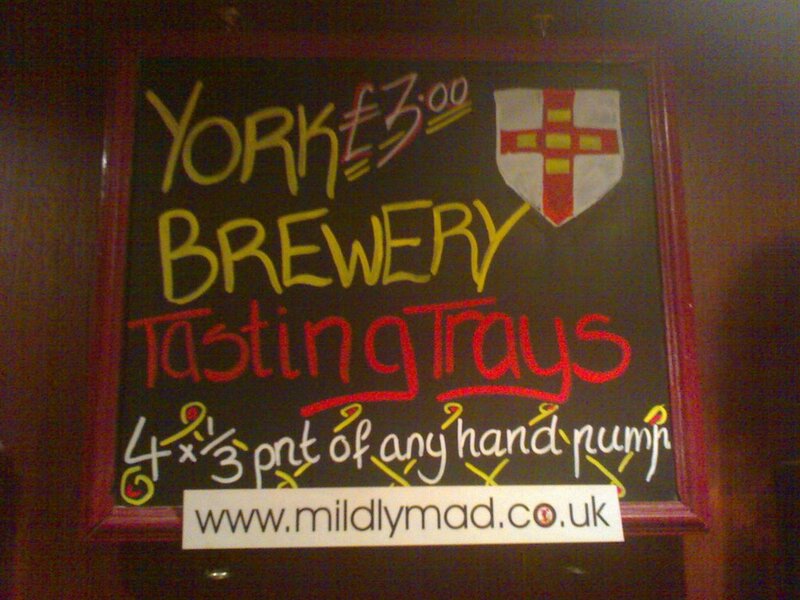 A great idea from York Breweries is this tray of 4 third-of-a-pint samplers. 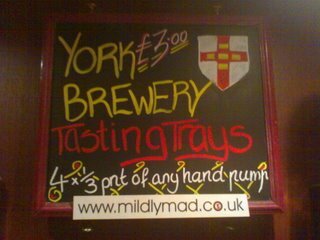 They now have 3 pubs in York and although their best known ale, Wonky Donkey (named after the local nickname for the Three Legged Mare- their pub in Petergate) was not on offer last night, this would be a great way to open a long evening. And what a long evening it could be with the local ales being complemented by a range of Belgian beers. Their website doesn't seem to be ready yet, but watch this space. Interestingly, despite many informative posters, blackboards and leaflets I saw no mention of the Campaign for Real Ale (CAMRA). Odd that.